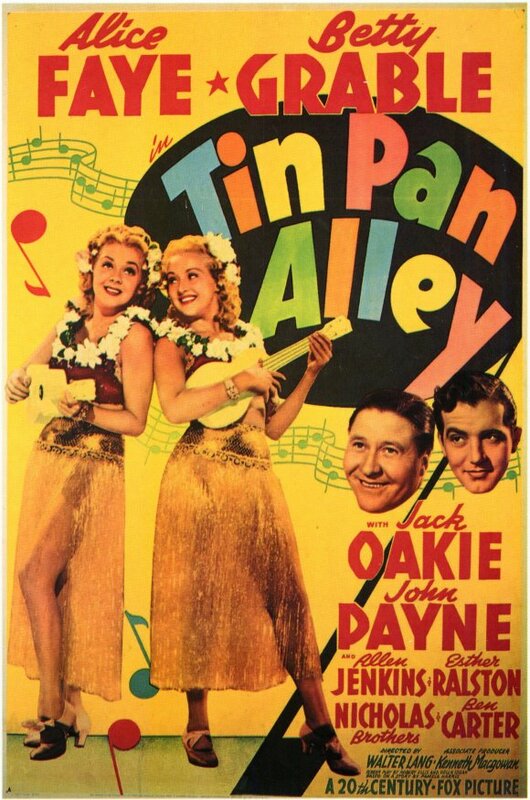 Just prior to World War I, two struggling songwriters (John Payne and Jack Oakie) meet a pair of singing sisters (Alice Faye and Betty Grable) who help them sell their songs. Soon Payne is in love with Faye, but his overly aggressive ambitions get in the way of their romance — until the arrival of World War I causes them both to rethink their priorities. Contralto-voiced Alice Faye was once one of Hollywood’s top box office draws, appearing in numerous popular musicals (including a biopic of Lillian Russell) before co-starring in Otto Preminger’s flawed noir, Fallen Angel (1943), which essentially marked the end of her career. However, the only film in her oeuvre which has maintained any kind of must-see appeal for modern audiences is The Gang’s All Here (1943) — and that’s due to Carmen Miranda’s presence, not Faye’s. Tin Pan Alley — the only other Faye flick listed in GFTFF — is, sad to say, a true snoozer of a wartime flick, featuring the slimmest and most predictable of plots, and bolstered by a host of reasonably catchy yet imminently forgettable songs. This one will ultimately only be of interest for fans of Faye’s uniquely honeyed voice, and/or those truly in love with early-20th-century popular music. No; this one is strictly for fans of this musical era. ~though I wouldn’t call it a ‘snoozer’. It’s innocuous enough – but it’s in black and white and it’s SCREAMING to be in color, which would have perhaps heightened its chances at being more entertaining. Instead it visually leans toward being drab. 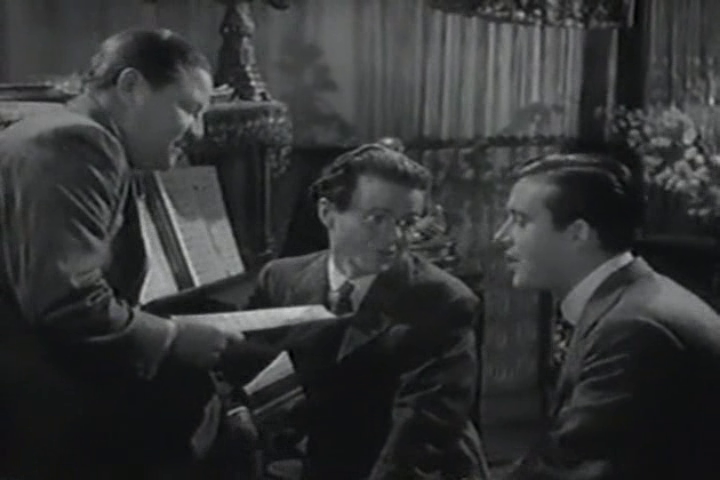 The film has three ok musical sequences: ‘Honeysuckle Rose’ (never knew that classic was featured here; though I much prefer Diahnne Abbott’s sultry version in ‘New York, New York’), the rousing ‘America, I Love You’ (though you couldn’t really get away with that kind of sentiment in an American film these days) and the lively ‘Sheik of Araby’. Director Walter Lang does what he can in trying to sell this thing the way the main characters attempt to sell songs. But ultimately it’s just…ok. Faye and Grable sing well enough but neither is much of an actress (or the effort is minimal movie charm) or dancer (at least not here). Cook, Jr. is indeed peppy in his composer role, and Oakie equals him in pep, even if he’s a little one-note.